American craft beer is like the history of the country itself. As a nation of immigrants, our brewers borrow their techniques from many different traditions, tweaking, combining and refining them into something uniquely american. Now, try imagining that we had a centuries old heritage of farmhouse brewing like Belgium. What impact would that have had on modern craft beer? 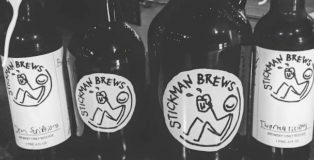 Stickman Brews‘ mission is to find an answer that very question. How would craft beer have evolved in America if we had a centuries-old farmhouse brewing tradition like Belgium? 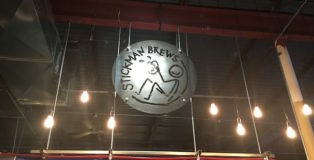 Head brewer and co-founder of Stickman Brews, Ethan Buckman, focuses his creativity on creating beers that could have existed in this alternate brewing history. 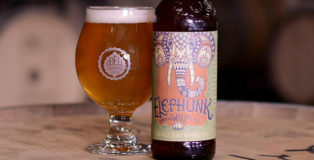 He brews hop-forward American-style ales, which he then ferments farmhouse-style with different strains of Brettanomyces and wild yeasts in open-top fermenters. The resulting beers blur style guidelines in exciting new ways. Ethan doesn’t like to assign styles to his brews because he doesn’t feel there are any regularly used styles that accurately describe what he is trying to create. 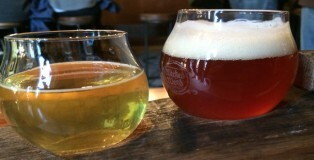 If you love serious sour and funk, be warned: you won’t want to leave Wicked Weed Brewing’s Funkatorium in Asheville, North Carolina. You’ll wonder if they’d notice if you hid among the barrels and spent the night. At 5’4”, this thought seriously went through my head. 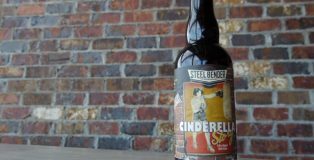 In honor of our collaboration roundtable this week, I figured I’d showcase a recent collaboration from a pair of breweries that I love to death. 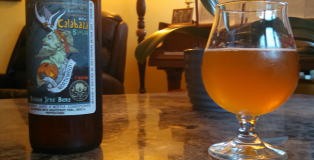 Calabaza Boreal is a team-brew by Anchorage Brewing and Jolly Pumpkin, and I’ll spoil the article early to reveal that this beer is delicious. If you like sours, you were probably excited when you read the title.